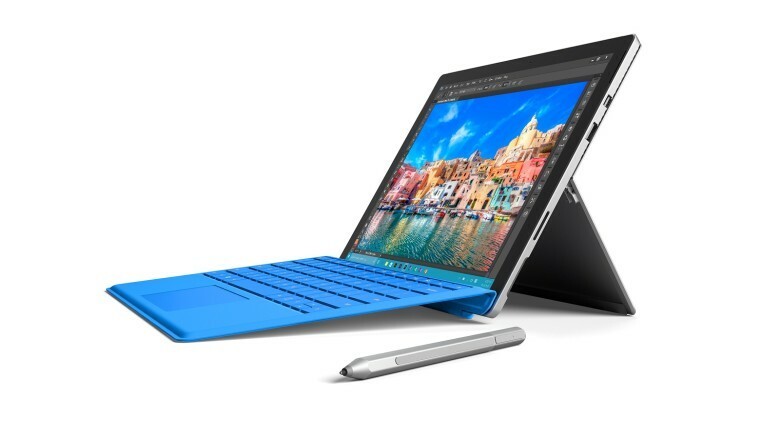 The Surface Pro hasn't hurt the iPad. Microsoft is taking another swipe at Apple with its newest app that makes it super easy to transfer all your data from a Mac onto a PC. Surface Studio is a Windows all-in-one that finally gives the iMac a run for its money. Microsoft’s decision to wage a new war against Macs with premium Windows PCs is paying off, the company says. Thanks to high-end devices like the Surface Book and Surface Studio, Microsoft managed to steal market share from Apple last quarter. 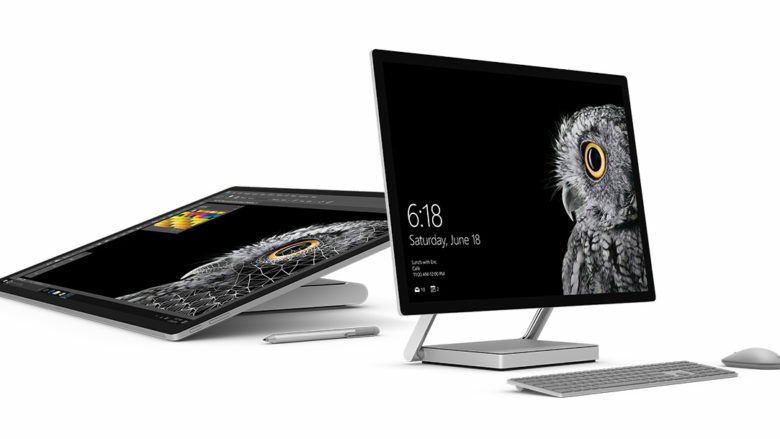 Microsoft's Surface Studio is a tablet and a PC. 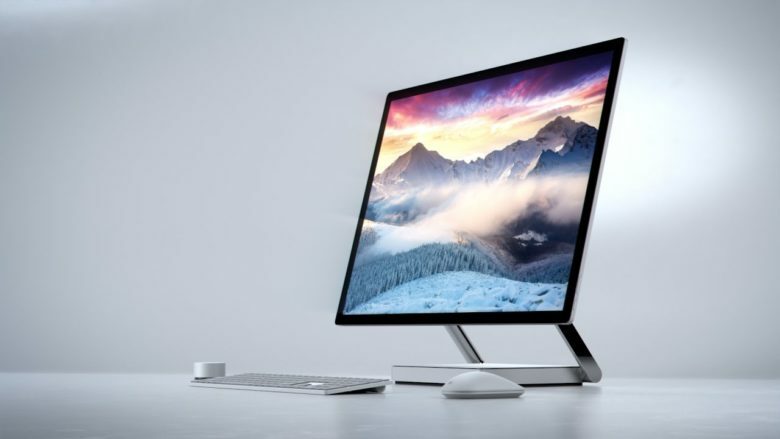 On the eve before Apple is expected to unveil the future of the Mac, Microsoft fired its biggest shot at taking down the Mac with its first ever all-in-one PC. It’s beautiful. It’s powerful. And it could give the iMac some serious competition. 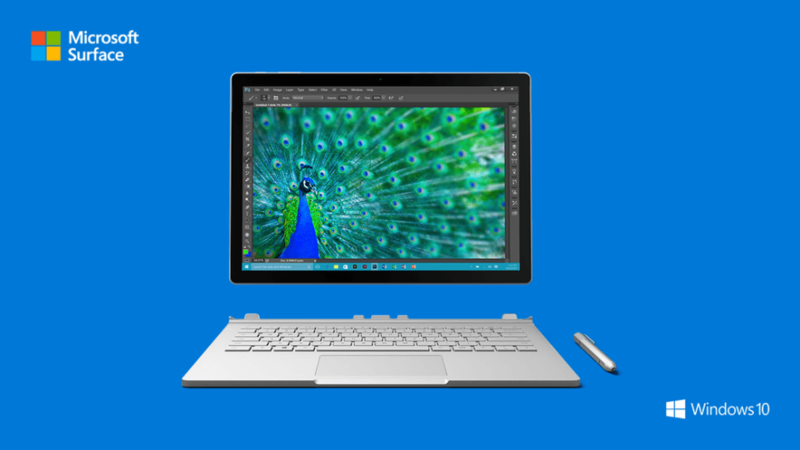 The Microsoft Surface Book is a tablet and laptop in one. 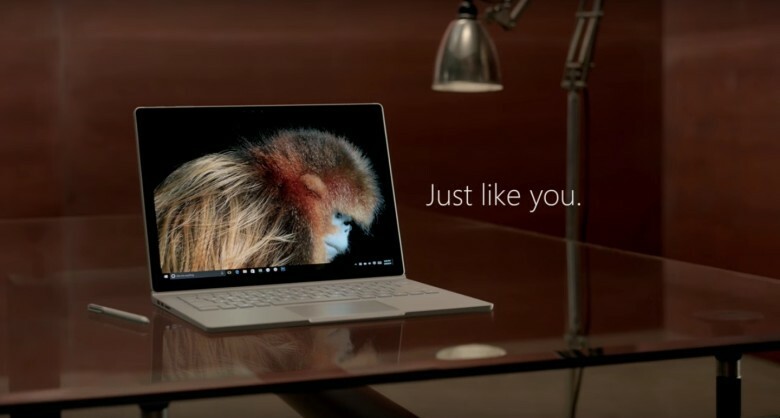 Microsoft is taking a page out of Apple’s marketing playbook for its newest ads promoting the Surface Book, and the company threw in a few digs at the Mac while they were at it. Rather than just focusing on the product, Microsoft’s new ads add a human touch by focusing on how the device has changed some professionals’ workflow. First up is photography Tim Flach, who uses a Surface Book and Surface Pen to precisely edit his incredible animal photography. If owning a Surface Book gave me killer shots just like Flach, I’d ditch my Mac too. 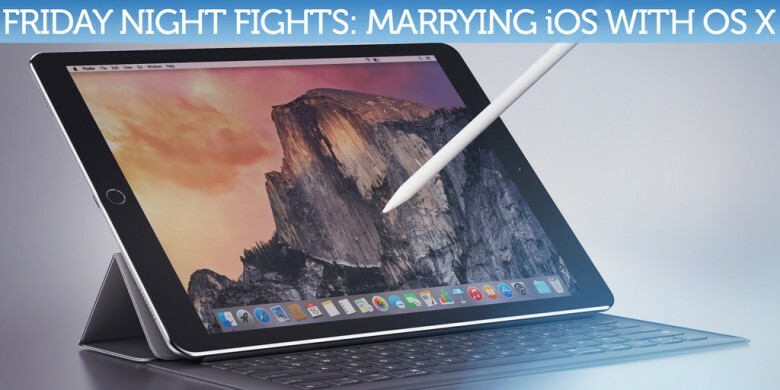 Should Apple merge iOS with OS X for iPad Pro? Is merging iOS with OS X a good idea? 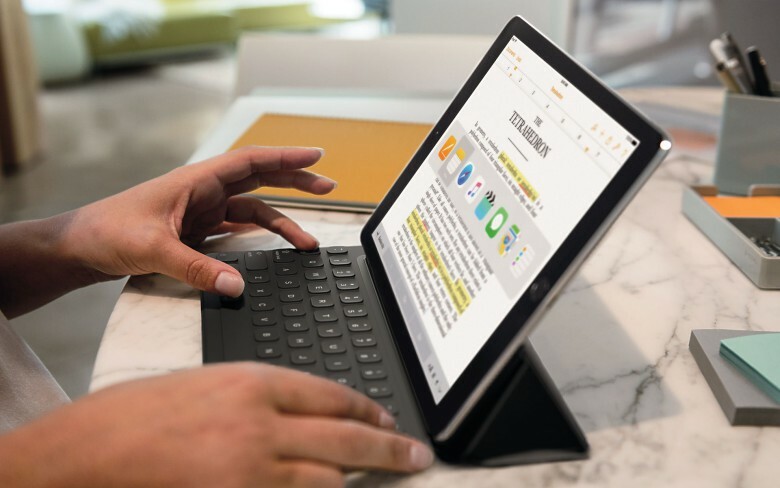 For the longest time, the answer to that question has been a resounding no from anyone who appreciates good software — but with iPad Pro on the horizon, there may well be a growing case for it. The iPad Pro has the potential to be the ultimate 2-in-1 — a laptop that could really replace a notebook when you need to get stuff done. But in many ways, it’s being held back by iOS, which is still very much a mobile platform without many of the basics we have on our desktops — like a file manager. So, is there now room for a new platform that delivers the best of iOS and OS X, perfectly suited to a tablet that doubles as a notebook? 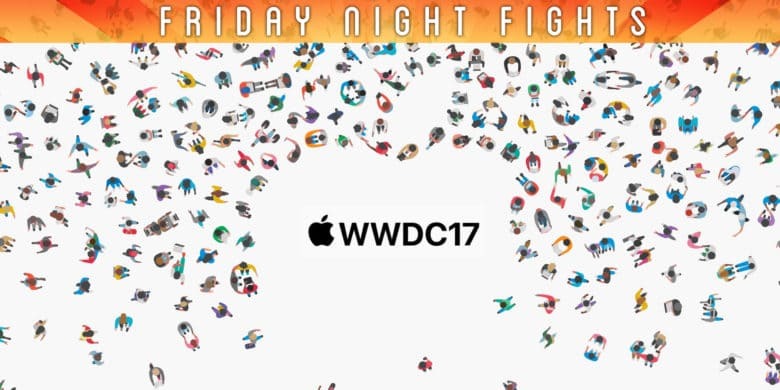 Join us in this week’s Friday Night Fight between Cult of Android and Cult of Mac as we battle it out over that very question! Apple's not ready to go down the Microsoft route just yet. The new Magic Trackpad 2 introduced Force Touch to the iMac, but Apple’s not ready to embrace the concept of a Mac touchscreen — and according to Phil Schiller, it’s unlikely to do so anytime soon. We’ll take that as a “no” for anyone dreaming of an iOS/OS X hybrid. Microsoft's first ever laptop is... actually kind of awesome. Microsoft had a surprise up its Windows-loving sleeve today in the form of a new Surface laptop called the Surface Book, the first laptop in history to be built by the company. 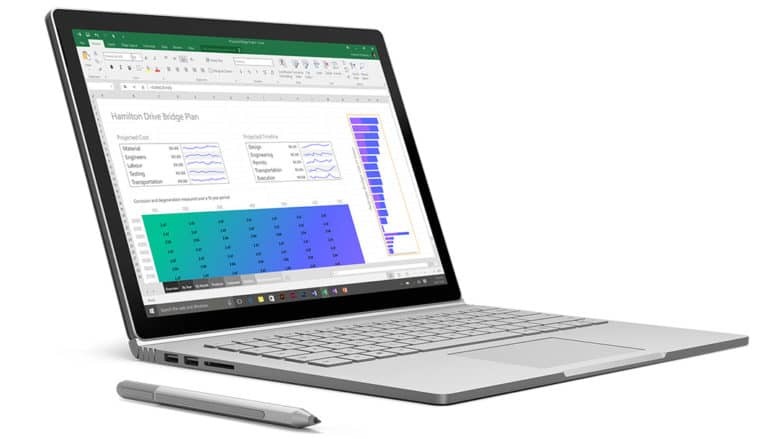 Hailed as the, “thinnest, most powerful PC ever created,” the distinctive-looking Surface Book weighs just 1.6 lbs, is 7.7 mm thick, and boasts a 13.5-inch detachable display with 267ppi.